It’s been one of the most frigid Winters in years across the United States and it isn’t over yet! But staying indoors for too long isn’t good for the mind or body. The Winter months can be lots of fun as long as you’re geared up with the proper outerwear to protect you from the elements. 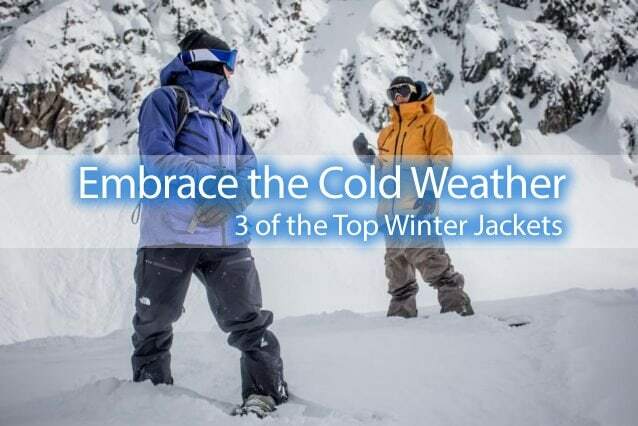 Check out 3 great winter jackets we selected for men, women & children that look great, are water-repellent and perform well in the cold weather. We just DON’T LIKE TO BE COLD. 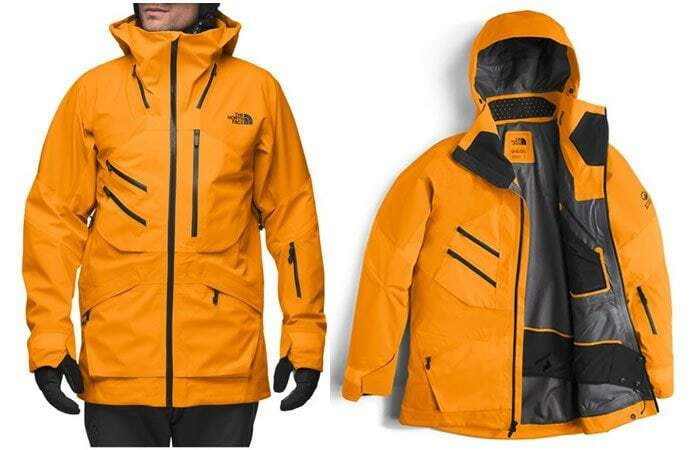 Part of The North Face Steep Series, the Fuse Brigandine shell provides the ultimate in wind and water protection when you’re out on the trails. The men’s performance ski shell is engineered with 75D 220 g/m² Gore-Tex® 3L with FuseForm™ construction to be tuff and waterproof. Weighing 950 g or about 2 lbs the Fuse features full breathability and excellent fit that keeps you agile on the trail. The length extends past your waist with integrated powder-skirt with drop tail design so it’s great for those Pow Pow days. An array of inner and outer zippered pockets provide convenient access and security. The chest located angled pocket provides pass-through port for those GO TO items. The sleeves are engineered with Velcro to secure your fit as well as a zipper with lenswipe. Best of all, there’s no wrist/thumb hole webbing that is impossible to get your hand through when it’s damp or wet. The men’s Fuse Brigandine jacket looks great, performs well and is one of our favorite ski shells to date. The Skea Limited Anna Coat features its beautiful & unique brushed metallic Anthracite Chrome finish. 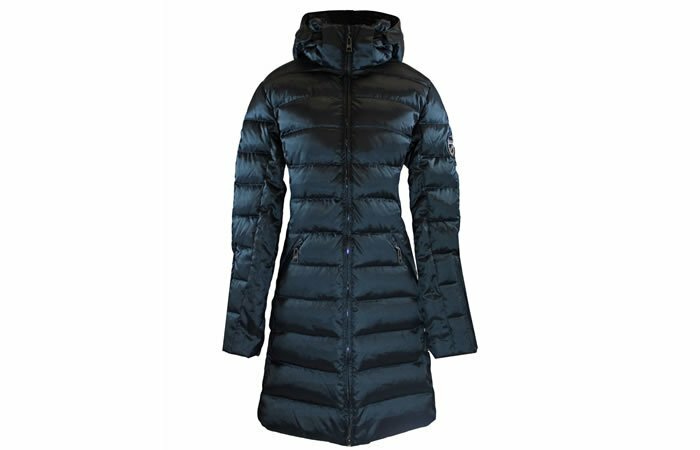 This stunning ladies down coat is water-repellent with a smooth Teflon finish. The Anna Coat uses Down proof 80/2 goose down 550 fill. Down proofing is the integration of waterproofing in the Down fill to produce extended moisture intrusion. The extended knee length provides excellent warmth with Thinsulate side panels. Features Gusset zippers on the hips and sleeves for fine tuning for a more generous fit. One of our favorite Women’s jackets for the winter and very streetable. Being wet and cold is miserable. 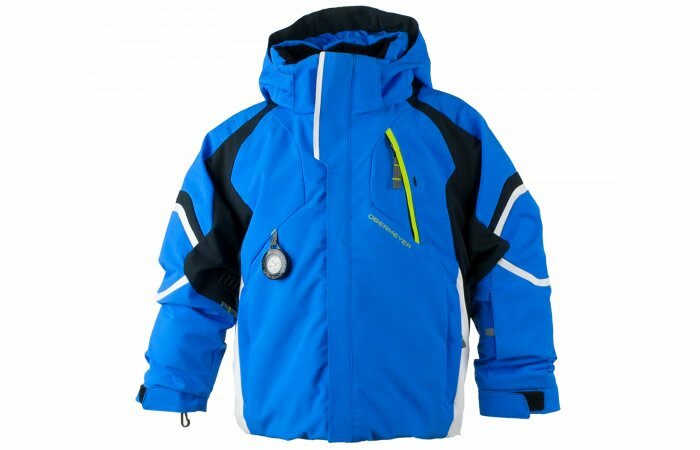 Obermeyer’s kids Patrol ski Jacket provides optimal warmth, waterproofing and protection from the elements whether they’re skiing down the trail, sledding or making a snowman. The Patrol Jacket is made with a 100% polyester 2-way stretch-weave with HydroBlock Pro technology. The HydroBlock Pro proprietary fabric is coated with a superior DWR polymer or Durable Water Repellent and allows 15,000 grams of water vapor to pass-through in 24 hrs as well as providing the all important stain protection. The fit is very nice and Obermeyer’s Patented I-Grow system is something every parent will love. It allows you to snip the colored threads and let out the hem to lengthen the sleeves by 11/2 inches. Every parent will love the I-Grow system allows you stretch the jacket for another season or two. Great winter jacket for young children.